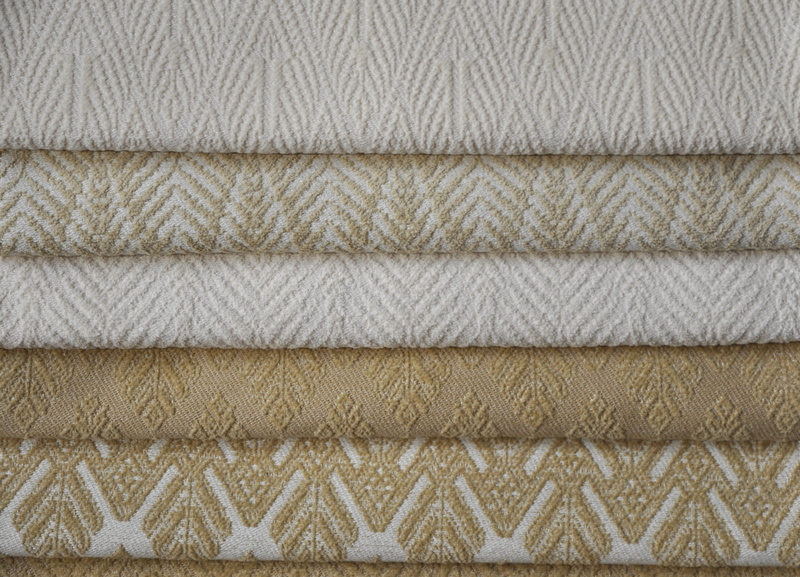 CLASSIC TONES IN IVORY NATURALS & HONEY…. FROM TOP TO BOTTOM: BACI, PALM & XONE MOTIFS. GREAT FOR UPHOLSTERY USE. WOVEN TO 53″ WIDE.